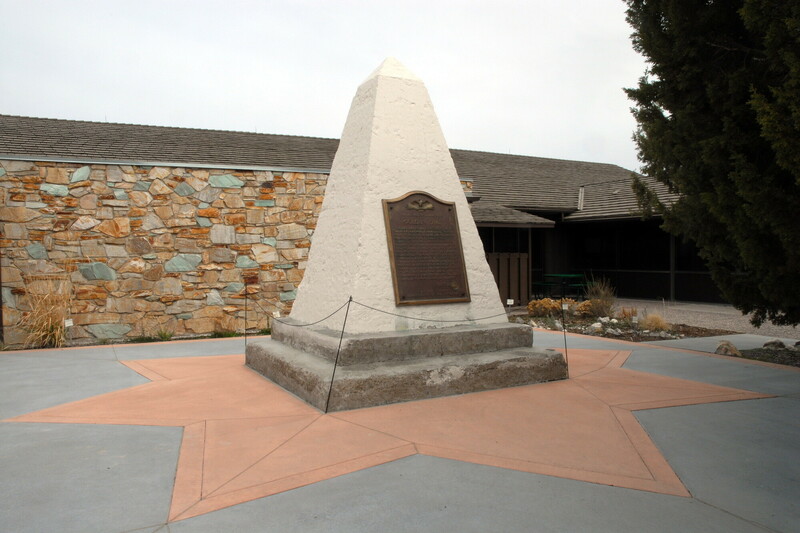 The Golden Spike National Historic Site is where the eastbound and westbound tracks for the first transcontinental railroad met at the northeastern edge of the Great Salt Lake. 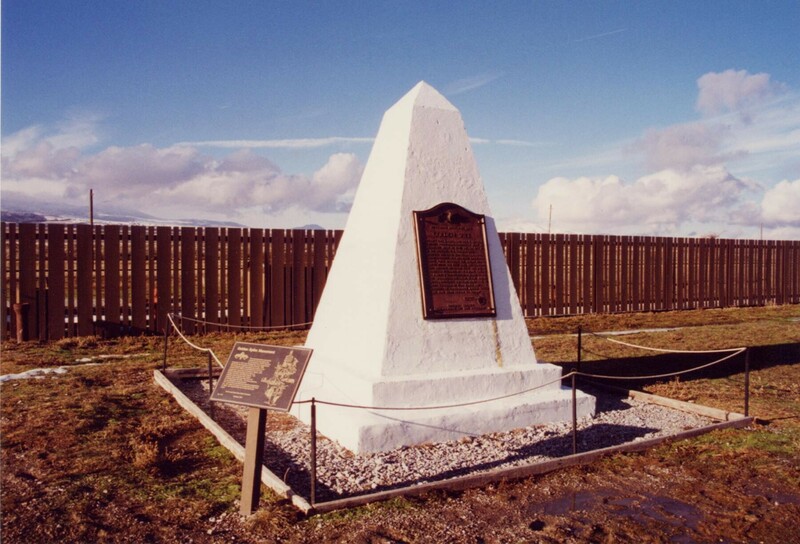 Initially, the Union Pacific, building the westbound track from Omaha, and the Central Pacific, going east from California, refused to let their tracks meet, each wanting to have more of the territory under their jurisdiction. As a result, over 200 miles of parallel grading was completed before Congress intervened and set the meeting point at Promontory Summit. On May 10, 1869 the tracks met and four ceremonial spikes were driven into the last tie laid, and quickly removed for safe-keeping. The tracks fell into disuse after 1904, when a faster route was constructed, the Lucin Cut-off, across the middle of the Great Salt Lake, and in 1942, the tracks were scrapped for metal. 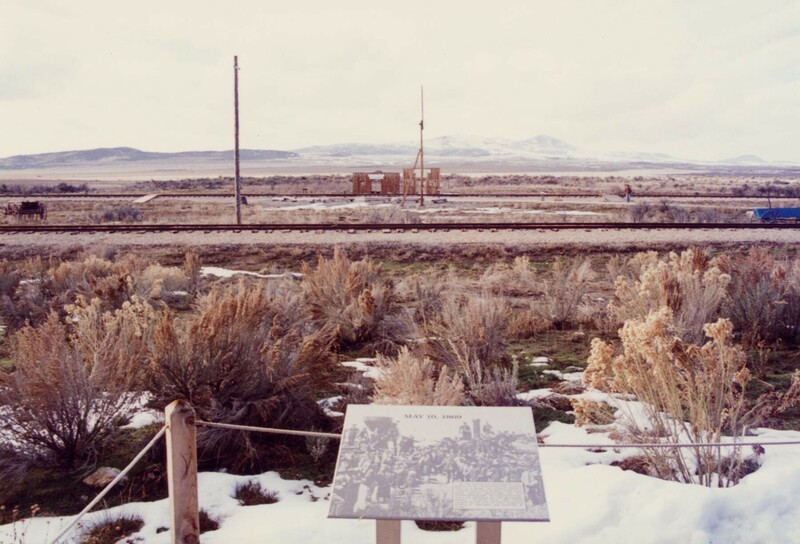 Sometime around 1980, a short section of track was reinstalled and steam trains were housed nearby reenact the 1869 head-to-head meeting of trains, behind a visitor center operate by the National Park Service.